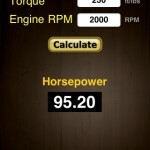 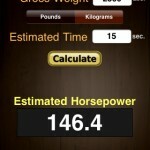 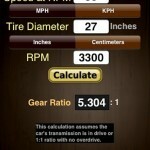 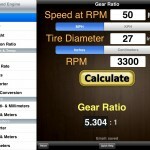 The Gear and Engine Calculators app is a very useful utility to give an estimate of vehicle’s (car, truck, motorcycle) gear ratio. 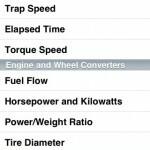 Calculators are included and additionally supplied are helpful converters. 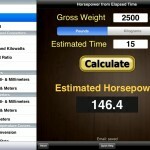 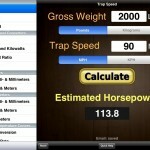 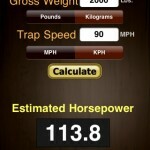 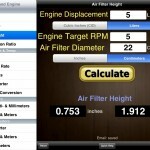 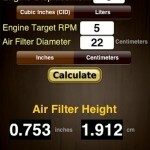 The application is a universal app compatible with the iPhone, iPod Touch, and the iPad.